You have always wondered how to increase the page views so that it will add value to get you more customers to purchase your products?We are listing here 3 ways of advertising platforms through which you can deliver performance-based results for your business. Advertising on this e-commerce platform where your products are sold will help your product to get more visibility as they are always seen in top searches which are required for branding and selling purpose. 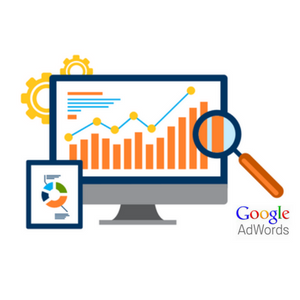 The benefit of this search based marketing opportunity is that you only get to pay when your ad is clicked and you reach more people. Listing out the product details and matching the ad offering. Instagram users are increasing at a growth of 5% every day, direct consumables have a great opportunity to reach the target audience. Local brands have reported a steady increase in the average order values from Instagram as this advertising platform has an active user base. You can learn about social media marketing which will enrich the right hashtags, appropriate filters, and posts for your products. This will help you build the right audience following your product. However, through the advertising process, the key to mastering Instagram marketing is engagement with your users. You can try interacting with your customers through the comments section and invite them to follow your brand by asking customers to click photographs of them using your product. These user-generated photos are a great way to generate a social proof. Prospective customers see that your products are regularly being purchased people just like them, and feel more comfortable doing something that others are doing. Therefore, it is important to keep building your Instagram followers and engaging more with your customers. All of these format types have their own strengths. We hope this article will help you understand which format works best to showcase your business product and generate interest. Keep in mind that online advertising isn’t a prescriptive easy process. It takes trial and error to understand the right types of advertisement formats and platforms which will help you generate demand for your business product.